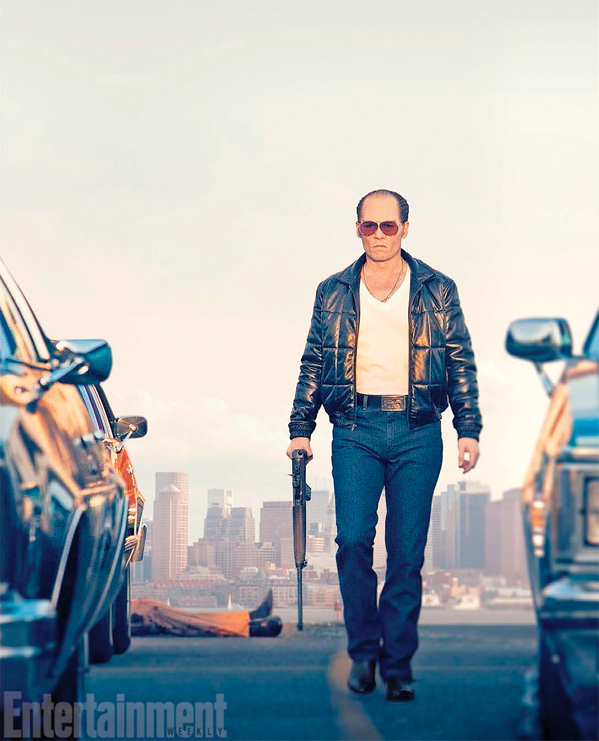 Black Mass is directed by Scott Cooper (Out of the Furnace, Crazy Heart) and written by Jez Butterworth (Edge of Tomorrow, Get on Up) and newcomer Mark Mallouk. The film tells the true story of crime boss Whitey Bulger (Johnny Depp), the brother of a state senator (Benedict Cumberbatch) and the most infamous violent criminal in the history of South Boston, who became an FBI informant to take down an Italian Mafia family invading his turf. Adam Scott ("Parks & Recreation") also stars in the film as FBI agent Robert Fitzpatrick and Warner Bros. Pictures releases the film this fall on September 18th. Interested? YES YES YES. This feels like Depp going back to doing good work like in Fear and Loathing, Donnie Brasco, etc. I really think this will be the film that brings him back in good favor. At least I'm hoping. Dont forget the brilliant Ed Wood. One of my favs! finally a Depp film that looks worth paying money to see. This looks like a heavy story and finally a Depp that sheds the whole Captain Jack Sparrow atittude. Nice. Good director and cast. Dat jawline. Will see this for sure!